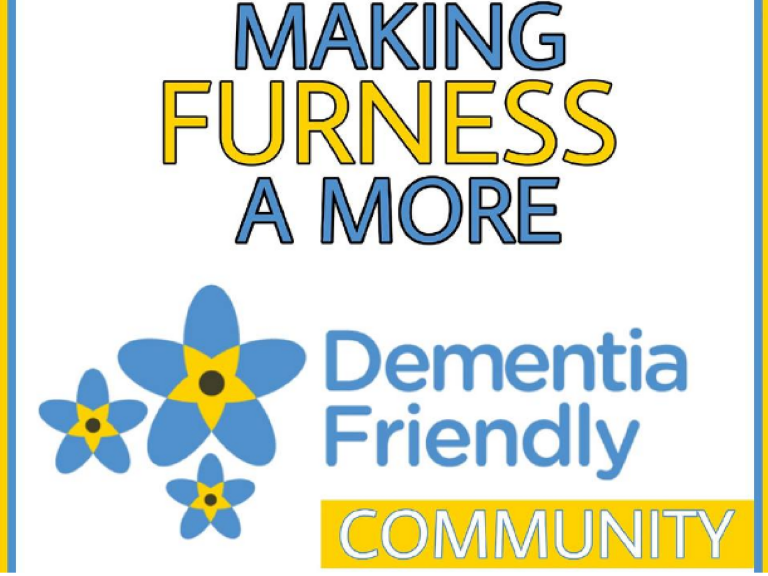 Help make Furness a more Dementia Friendly Community. According to recent statistics, 850,000 in the UK have Dementia. That’s a scary figure, made even worse when you factor in that another 225,000 will develop dementia this year - that's one person every three minutes. Put simply, Dementia is the biggest health crisis facing society today. There’s been a lot of hard work put in to raise awareness and raise funds to support the battle against Dementia, we’ve had Kick Off 4 Dementia which was a huge success, National Cupcake Day, which saw individuals and business take part to do their bit for the Alzheimer’s Society, as well as the campaign Denim 4 Dementia and the recent dementia Memory Walk which was incredibly well supported. Now you have the opportunity to become a Dementia Friend as well as helping your business become Dementia Friendly too. I was fortunate to attend the first Dementia ‘Breakfast Session’ at Hindpool Community Centre on Nelson Street last Friday (21st September) The first of many to come, my time spent there (each breakfast session is roughly 45 minutes to an hour long) was extremely well worthwhile. The session is a collaboration between Dan Webber and the team at Furness Carers aimed at raising people’s awareness of Dementia, the affects it has not only on the individual but family and friends too, and how we can all be part of a Dementia friendly community. The session started at 8am, with a warm welcome (and a brew and bacon bun) from Michael Cassells who led us through 11 key points about dementia such as describing exactly what dementia is (and is not) and pointing out that there’s always more to a person than their dementia. Michael also explained how best to approach and handle situations that may arise when spending time with someone who has dementia, and I can honestly say that I left the session more aware of how to think, act and talk about dementia – and I became a Dementia Friend in the process. What was so refreshing about this event was that it was an informal, but very well organised session that encouraged interaction from attendees, giving them a chance, if they wished to share experiences and thoughts and ask questions throughout too. I would strongly urge you to attend one of the upcoming breakfast sessions. By starting your day a little bit earlier, and attending – you can really help to make a big difference. It’s Dan’s and Furness Carer’s mission to make Furness a more dementia friendly community – and that’s something we should all be focused on too.